When we talk of mathematics and trigonometry, the name that crosses our minds first is Pythagoras. I know the mention of the word trigonometry makes students all over the world change their facial expressions and go scurrying for a calculator but I have something important and frankly pretty interesting to tell you. In recent years, there have been some discoveries that may change everything we know about trigonometry as a whole. 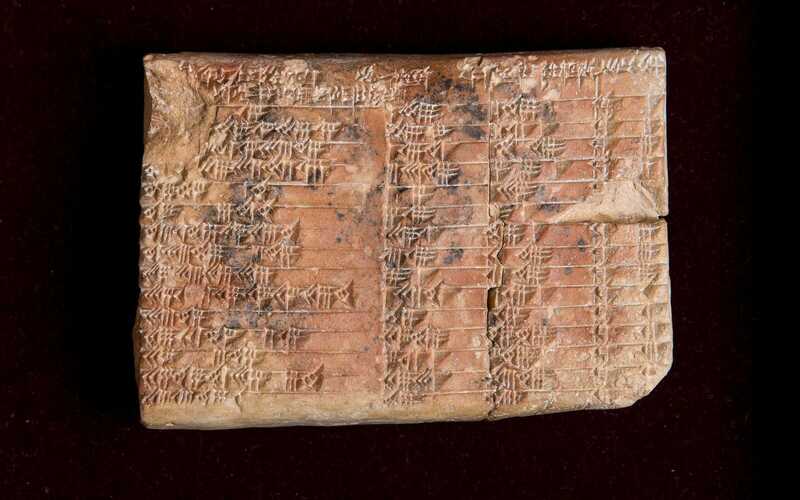 A Babylonian tablet, called the Plimpton 322 has been discovered. While that happens fairly often, there is something very different about this particular tablet. This tablet has engraved on it the first trigonometry table ever made and what makes this particular feature even more interesting is the fact that this would mean that all that there is to know about right angles was known to the Babylonians since a thousand years before Pythagoras lived. All the carvings on the tablet had not always been evident and it took a certain amount of work to figure out the information, but it is clear now that the tablet comprises of fifteen rows and four columns that are in cuneiform. One of the columns even has the trigonometric functions. Mathematicians have also pointed out that not only is this tablet the first trig table ever drawn, it is also the most accurate. The Babylonians did not use angles but ratios of the lengths of the sides of the right angles, and these ratios are exact. All the historians and mathematicians who have studied it have commented that it presents a whole new way of looking at trigonometry as a whole and that might be a little difficult for us to understand, owing to the cultural differences between us and the Babylonians. We find angles much more comforting than ratios. It has to be observed through a mathematico-historical context. There has also been much discussion about how this tablet was used in those times and while the strongest theory is that this tablet was used by teachers in those times to explain triangles, to teach how to solve quadratic equations to the pupils, and there is also a belief that this tablet was used for research, however, there is also a certain group of mathematicians who are sceptical. They do agree that the above theory is strong and fits well, but they also say that there is no testimony of the people trying to understand triangles at that time in their literature. Therefore, this whole situation calls for a more rigorous and in depth study of the tablet. We have always talked about how the sciences are always evolving and that facts may change from time to time but the opposite has always been said for mathematics. Granted that, this, if proven, without a doubt would not only change how we solve sums but it would be pretty ground breaking- think about it, we have had generations learn one thing and this one tablet could potentially change all of that. The world is a strange, strange place but not for one moment does it cease to surprise us, sometimes pleasantly and sometimes not so pleasantly.
? These 15+ Seniors Are Proof That Tattoos Look Badass Later in Life Tiny Chimp And Mastiff Become Best Friends ?